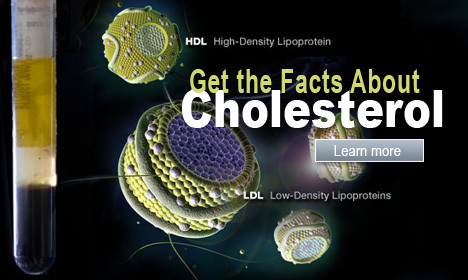 Low-density lipoprotein (LDL) cholesterol is the "bad" cholesterol, conversely, high-density lipoprotein (HDL) cholesterol is the "good" cholesterol. High cholesterol treatment includes lifestyle changes (diet and exercise), and medications such as statins, bile acid resins, and fibric acid derivatives. 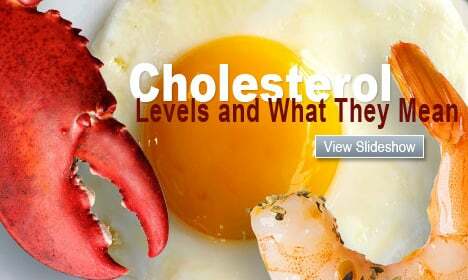 Watch this slideshow on Cholesterol levels and find out what it all means. Learn the alphabet soup of cholesterol testing: LDL, HDL, good, bad, and triglycerides. Pictures show tests, treatments, and critical foods from eggs to avocados. Worried about high cholesterol? 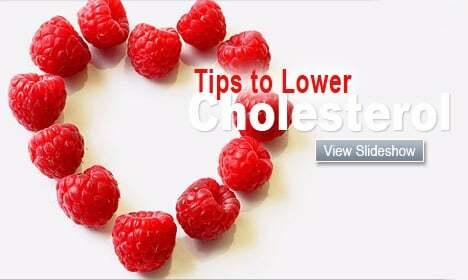 Watch this slideshow of 15 simple tips that can help you lower cholesterol levels and avoid heart disease. Learn about triglycerides, and the triglyceride test that measures triglyceride blood levels. High triglyceride levels can lead to heart attack, stroke, fatty liver, or pancreatitis. Watch this slideshow to learn cholesterol basics, drug classes, and available drugs along with their benefits and side effects. View an Illustration of carotid arteries disease and see more medical anatomy and illustrations. Does Stress Cause High Cholesterol? HDL: What should be done about low HDL levels? Is Lipitor Safe if I Have Fatty Liver? Do Bile Acid Resins Lower Cholesterol? Can Fibrate Drugs Lower Cholesterol? Does Nizoral Shampoo Interfere with Statins? Statins - - Doing More Than Lowering Your Cholesterol? What Are the Risks and Side Effects of Zocor? Could Too Much 'Good' HDL Cholesterol Be Bad for Your Heart? Cholesterol, How Much Do You Know? Cholesterol: Can Your Cholesterol Be Too Low? How Low Must Your Cholesterol Go? Lower Your Cholesterol - Get Physical!